Today with the merino was much better than yesterday. After looking at yesterday’s plied result, I decided to use a little less spin with the next singles and plying. I think that will work better, and we’ll see in another day or two when I ply again. I just have to remember to slow down, be meticulous with my drafting, and keep a VERY light touch with the hand holding the fiber. 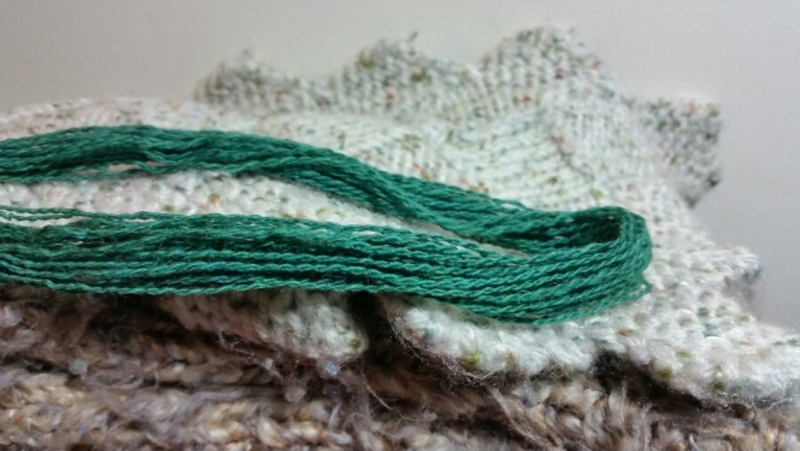 I was able to start to enjoy the fiber itself and appreciate how it feels to work with. I see why merino is called “fine wool” – the fibers are very thin and soft. Thanks! I’ve actually thought that spinning would make a good Vine (6 sec loop). The tricky part would be the camera placement. I’ll think about it some more.